The casual Italian restaurant, Flour + Water, in the Mission District in San Francisco is always difficult to get into. Since I’ve never been to this popular joint, I decided to give it a try. Since I was craving pasta (I’ve cut back a lot since moving back to the states) we decided to order a few appetizers and many pastas to share. Salmon Crudo with Avocado, Black Olives and Husk Cherries (6/10). Starting off with the salmon crudo, the flavors were unbalanced. 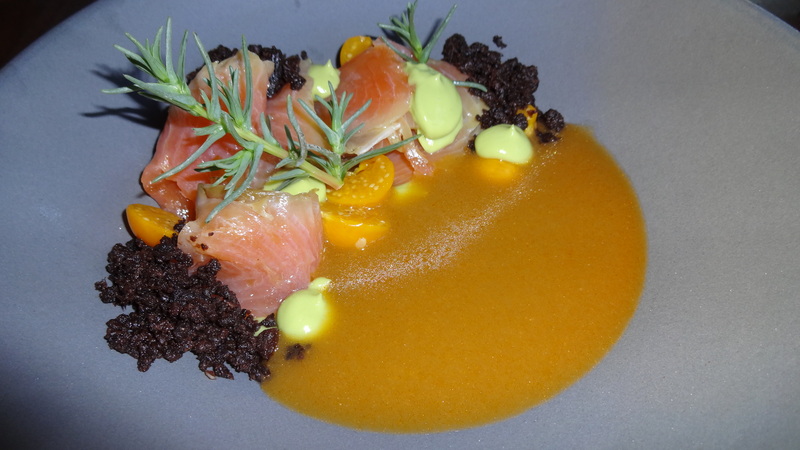 The salmon crudo itself was delicious, flavorful, and tender but the black olive crumble was extremely salty and the cold “broth” was overly acidic. Eggplant Cannelloni with Early Girl Tomatoes, Serrano Chili, and Basil (6.5/10). 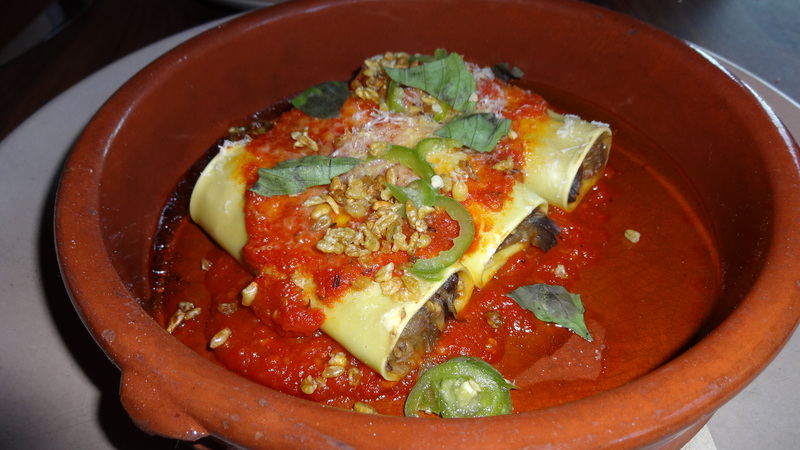 The eggplant cannelloni were slightly on the dry side and lacked a depth of flavor. 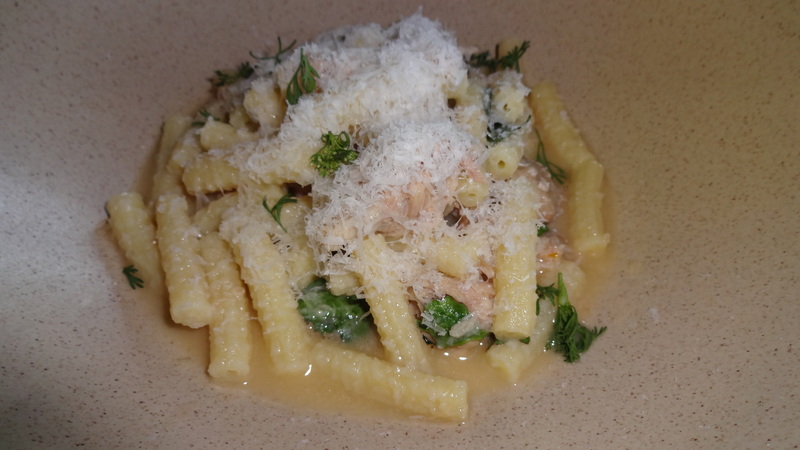 Gargati with Guinea Hen and Lamb’s Quarter (7/10). The next pasta, the gargati, was probably my favorite out of the pastas I tried. The tubes of pasta were tossed in a buttery sauce with pieces of guinea hen, lamb’s quarter (a wild plant), and topped with shredded Parmigiano Reggiano cheese. Tagliatelle with Braised Veal, Charred Grapes, and Brussel Sprouts (6/10). 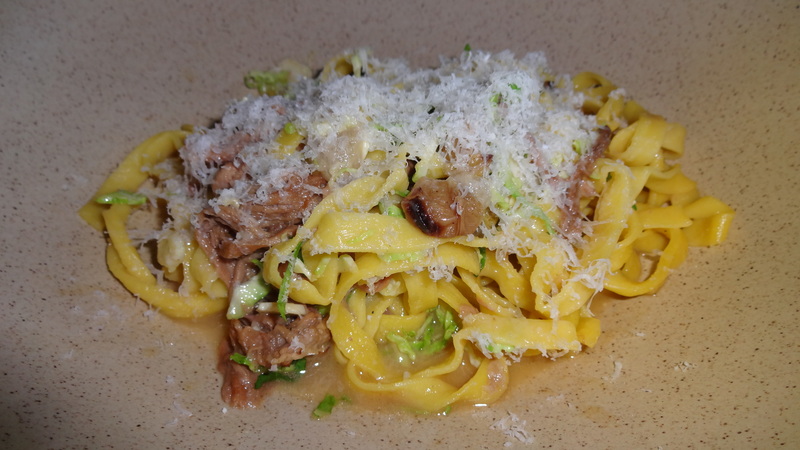 The last pasta dish we tried was the tagliatelle with braised veal. The strands of pasta were also slightly dry and the braised veal wasn’t as tender as I wanted. 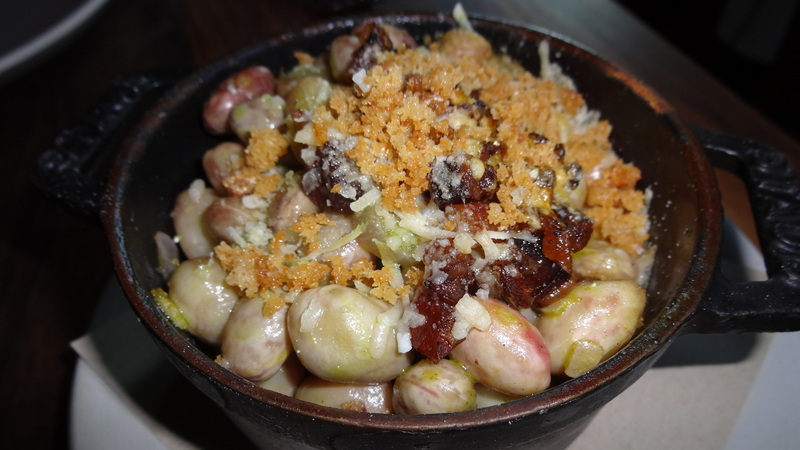 Also I wanted more of the brussels sprouts and the charred grapes to add more body to the dish. Cranberry Beans with Breadcrumbs, Fior di Latte, and Pancetta (8/10). Shishito Peppers with Smoked Eggplant Cream (8/10). Some of my favorite parts of the meal were actually the side dishes. The cranberry beans were meaty and topped with crunchy breadcrumbs, salty pancetta, and gooey Fior di Latte cheese. 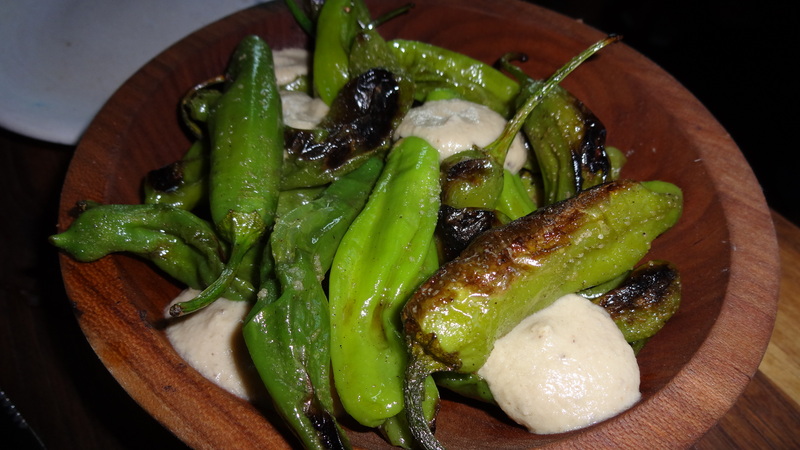 The charred shishito peppers, always a crowd pleaser, were delicious with the smokey eggplant cream. 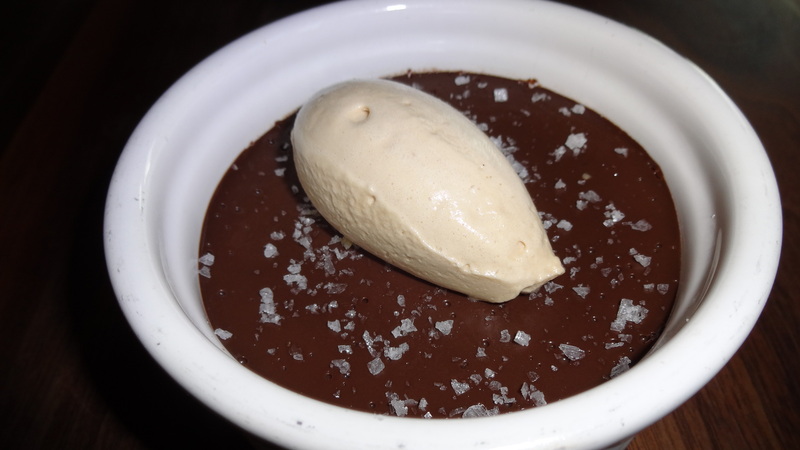 Chocolate Mousse with Espresso Cream and Sea Salt (6/10). To end the meal we had the chocolate mousse with espresso cream which was tasty but super dense for my liking. The other dessert, the sweet corn bonet, was much more exciting. 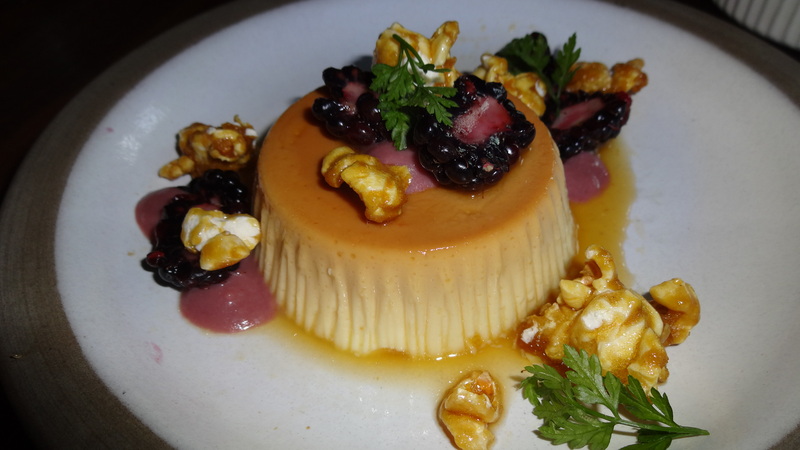 The smooth sweet corn flan paired great with the tart blackberries and crunchy caramel corn. Overall I was disappointed with my meal at Flour + Water. Perhaps the hype and the fact that it’s a popular restaurant, I expected more from them. Even though I enjoyed a few of the dishes at Flour + Water, I felt many of the dishes needed improvement and lacked flavor. For about the same price and type of atmosphere, I believe Cotogna (read my review here) is a better restaurant for serving similar Italian cuisine. Therefore, I’d rate Flour + Water at a 6.5/10.